OK so I'm dusting off the minecraft server for the new year, and to get it kicking again were going to build something big, impressive and imposing. 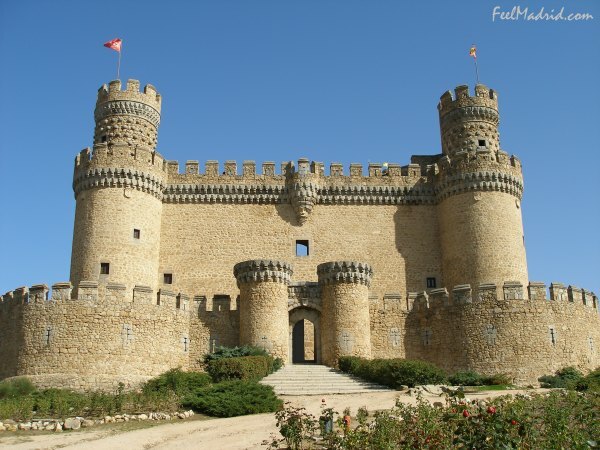 I know castles are a classic in minecraft but it seems like a good way to get started. Heres the low down, no items will be spawned for this build, and it will be going on all week, right the way through to Sunday the 28th. 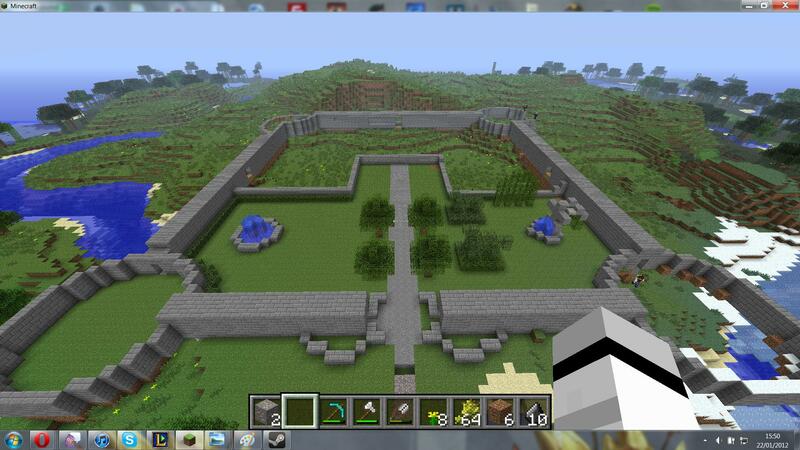 Were looking to build it somewhere near the village but haven't picked a location yet. When we do we will be sure to sign post it thoroughly. We are looking at doing a big build every week, and this is a pilot of that idea so please stop by and drop some blocks into place! and you need to be whitelisted, but if you have ever connected to one of my servers then you are probably on it. we made a start, you can now find the site from the village but the question of style came up, so i hunted down some pictures to work from. these aren't all going to be used but we will see what we like. 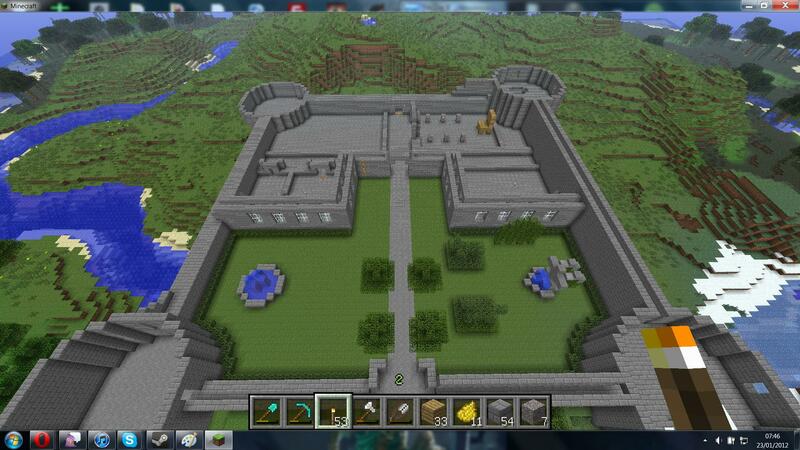 I joined in with this and just finished the floor plan of the exterior walls of the castle. Ended up almost tripling in size thanks to the corner structures but should now look nice and imposing as it sits across the entire width of the plateau. I'm not the best at making cool stuff. but I'm sure I can at least make bricks and wood and stuff. I'll be back on later. ARRR, Pirate be 100% right when speakin'. 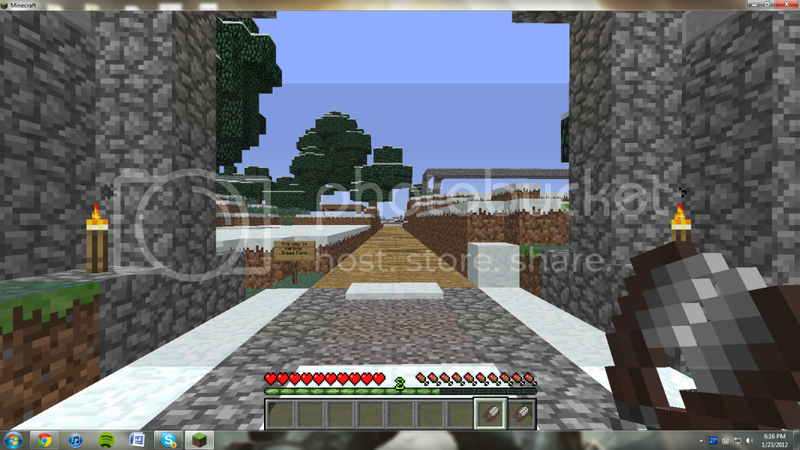 Alright there is now a path to the castle from the village. 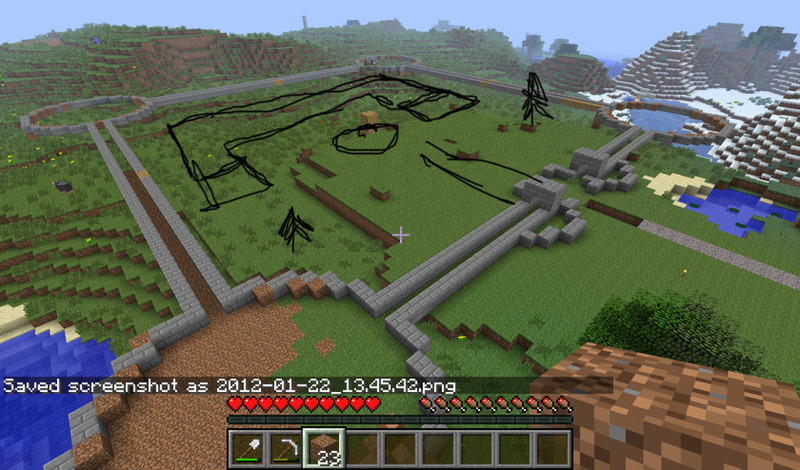 I hear there is a minecart path under construction as well. If you see flowers, punch 'em. 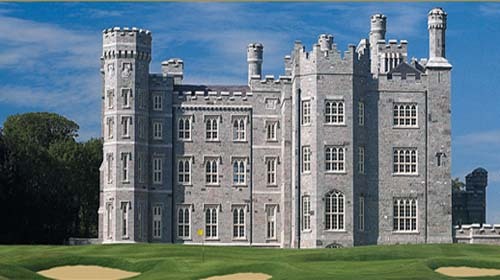 If this castle has a King it's gonna need a red carpet with gold trim. A couple people still working on it, wanted to update the thread. What's most impressive is the new path and monorail system now leading out to the castle. 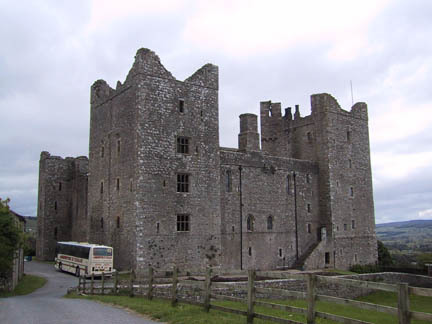 i must say, i wasn't expecting this much activity, its been great, and the castle is all set to be massive! currently I'm working on the assumption that the ground floor will be 7 blocks high, this is sure to be an impressive building. 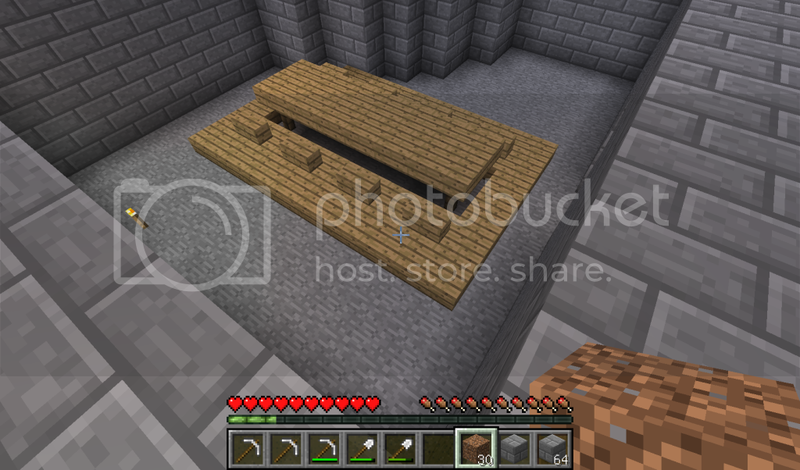 and heres something which i haven't shown you yet, this is the camp out the front of the castle where we convert all our cobble into stone, and then stoneinto stone bricks. It also has a sign to sign from Newagered for people to go and put their names and say what they did. i have come to realise how important sheep sheering will be, so i think everyone should try to carry a set of sheers and a dye whenever they can, dying sheep before you shave them gets you more coloured wool blocks than dying after shaving. 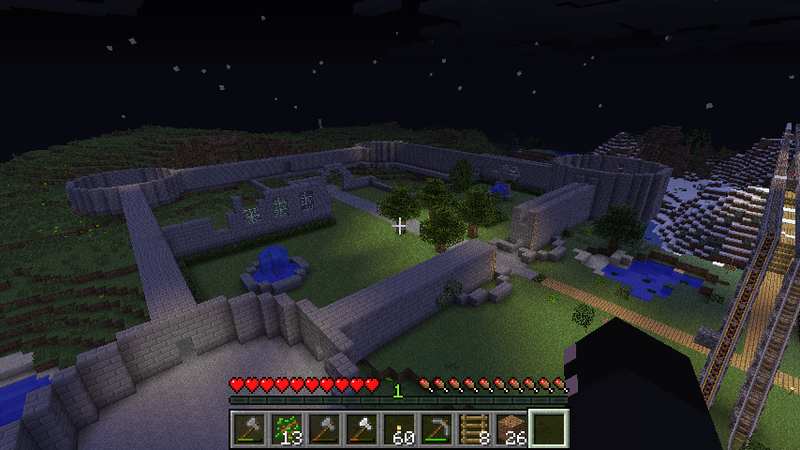 Hey guys, progress is coming along nicely on the Castle, as Steve said above, i got some random shots of bits of the castle. 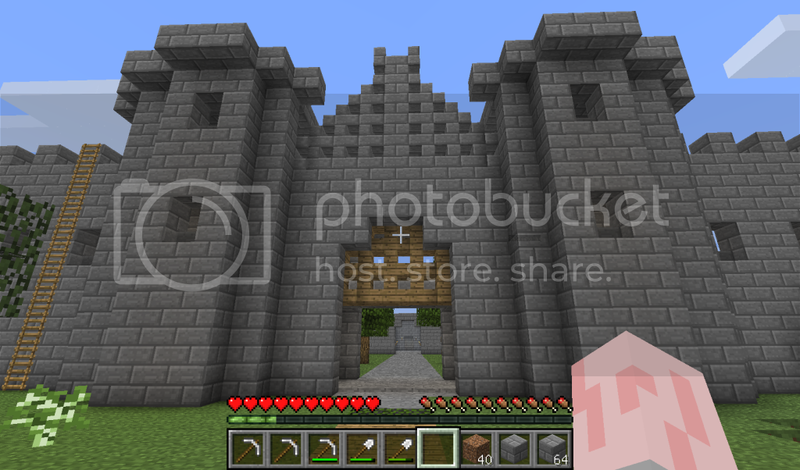 A nice close up of our gatehouse as it is so far. A couple of out hedge sculptures, in the words of Rolf Harris, "Can you tell what it is yet!?" 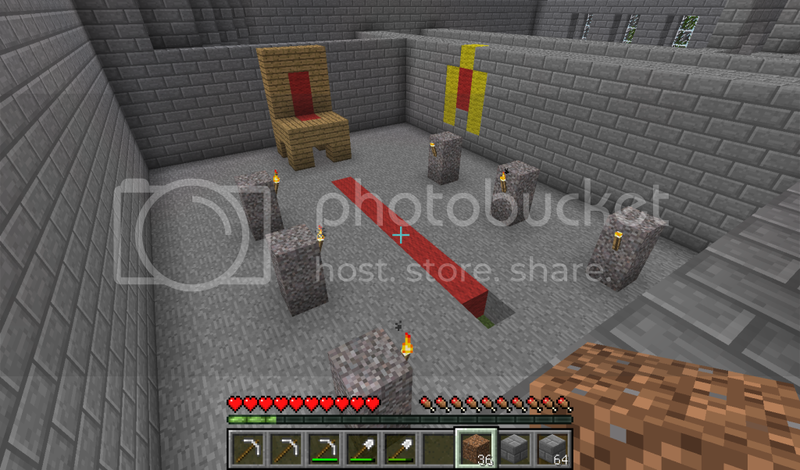 And finally our throne room and dining rooms in progress. another update! Because hes done it again, smokes genius is once again revealed as he shows us his vision of our future. In all seriousness this thing is coming along in leaps and bounds and it looks great, but theres still pleanty to do so if you want to be a part of it just grab your pick and come build a spire! I want in so bad!!! You guys made a ton of progress! I'll have to check how much iron I have next time I come on, you could easily just replace that with iron bars. There was a farm started with sheep, so I went ahead and colored them and started feeding them wheat to make more, feel free to grab a sheers and head over there. 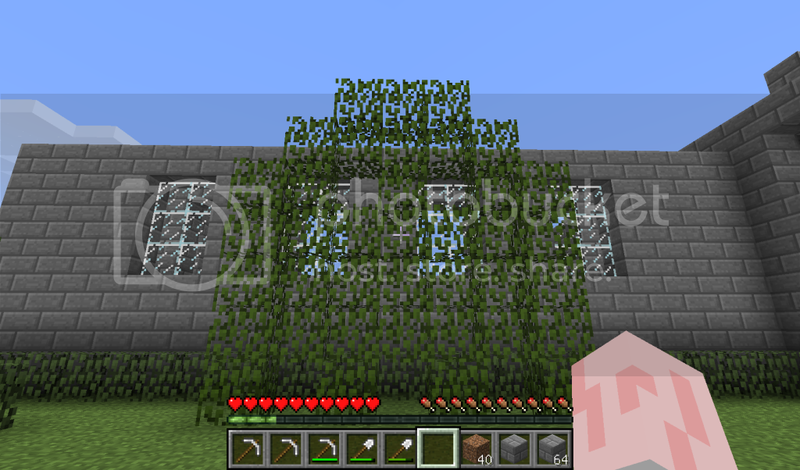 Its outside the village by Smoke and I house exit. That's really cool, guys! I love it! When can I move in? Dunno what would be on it, but we need it to waterfall into the courtyard or something. Gotta have our own Zeal Kingdom. 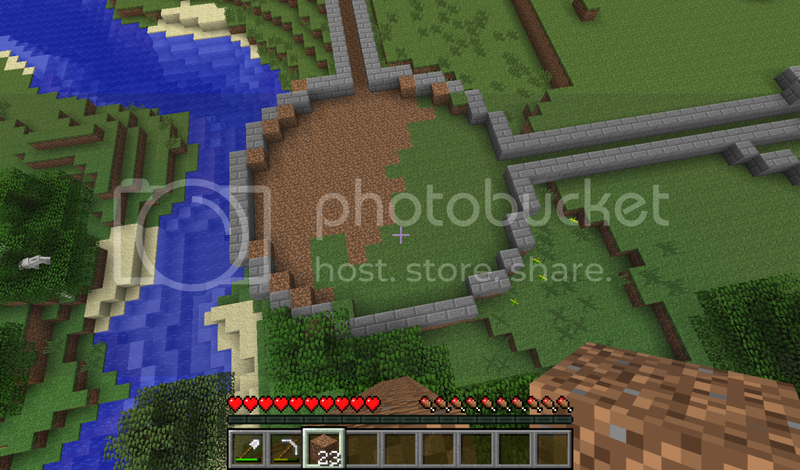 I made a path to the sheep farm that I built upon what was already there. And the inside where all the sheep are hanging out waiting to get sheered. Wait, I can just take care of sheep? Why am I just learning this? 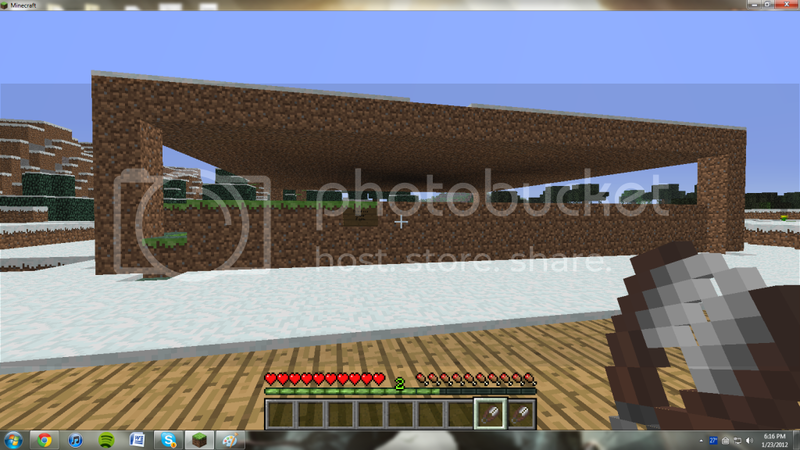 So if Steve is alright with helping me towards the end of it's creation, I can make a farm for every color of sheep. This will basically give us infinite amount of wool in any color. The drawback in the wait time to wool to respawn. 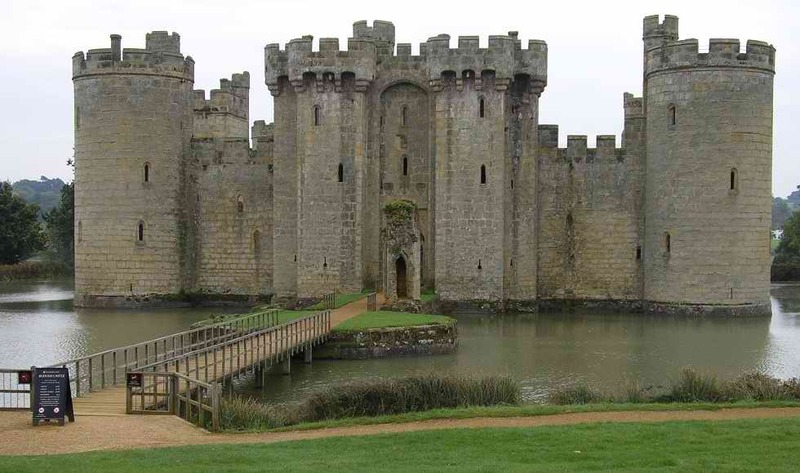 I also have lots of hiding ideas for castle. BTW> I will name it Alexander and it shall be my summon. 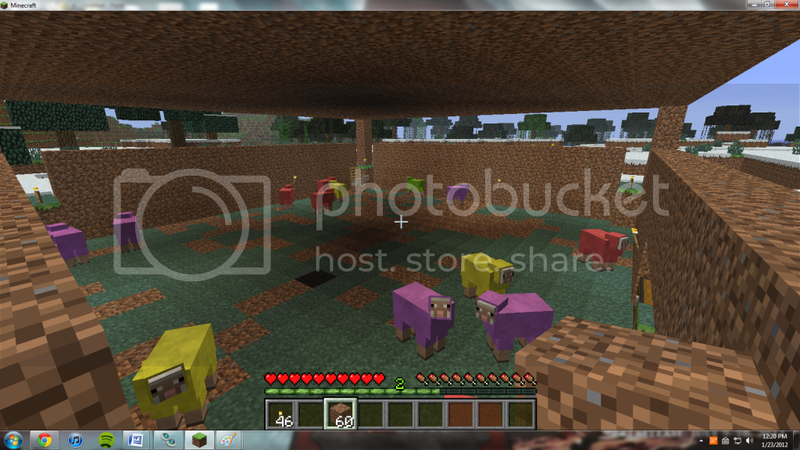 So if Steve is alright with helping me towards the end of it's creation, I can make a farm for every color of sheep. This will basically give us infinite amount of wool in any color. The drawback in the wait time to wool to respawn. Pretty sure any wool that grows back is white. That....... makes no sense! What happens when you breed two coloured sheep? Do they mix colour? You can take care of, AND breed Cows, Chickens, Pigs and soon to be Wolves, but everyone just refers to them as Dogs. I changed some stuff in the throne room, hope it's good. I'm going to put tombs in "Ghost Cave". 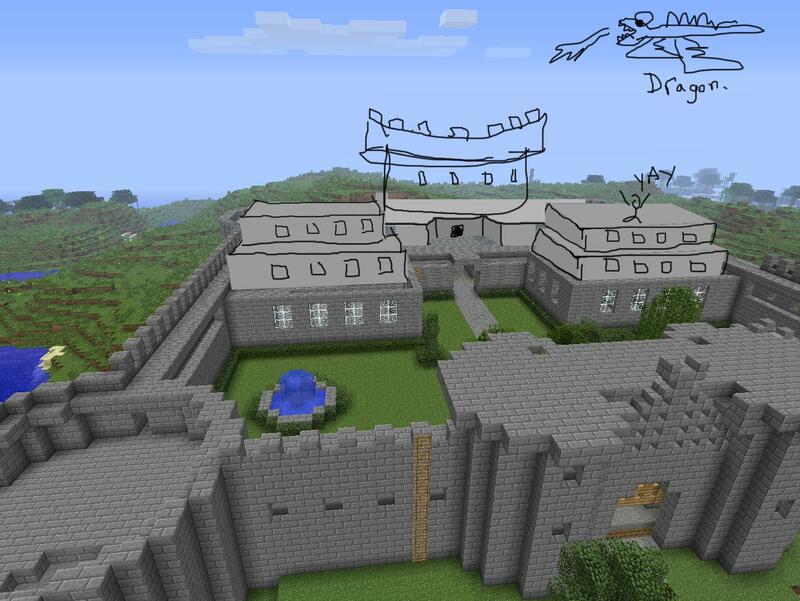 We need a good name for the castle, any ideas?